This article first appeared in The Edge Financial Daily, on May 15, 2017. LONDON: Malaysia Airlines Bhd has shelved plans to introduce premium economy class seats on its upcoming fleet of six new Airbus A350-900s, the first of which will be delivered by the end of December this year. The premium economy class is a small area between economy class and business class. They offer extra legroom and wider seats than economy class, but are cheaper than business class. Over the years, airlines around the world such as British Airways, Lufthansa, Singapore Airlines, Cathay Pacific, Air New Zealand and Air France have all added new premium economy sections to their planes. A Malaysia Airlines spokesman said the airline had initially planned to introduce premium economy seating on its A350-900s but decided against it to accommodate more business travellers. The airline has also reduced the number of its first-class seats on the planes. “The 288-seat A350-900s will now comprise four first-class seats, 35 business-class seats and 249 economy-class seats,” the spokesman told a group of Malaysian journalists during a tour of Airbus’ Broughton plant in North Wales last week. The airline is replacing its six A380 superjumbos with the fuel-efficient A350s on the twice-daily Kuala Lumpur-London route starting in late 2017. In October 2015, AIN Online quoted a senior Malaysia Airlines official as saying that the airline had been experiencing extreme difficulty filling the A380s, even in economy class. “Passenger load on the morning flight is not good while that on the night flight is better but still not good enough as the yield is low,” the official had said. Following 2014’s twin tragedies of flights MH370 and MH17, Malaysia Airlines has regained lost market share on the Kuala Lumpur-London route, with it (70% market share) leading against competitors such as British Airways, Qatar Airways, Emirates and Cathay Pacific. The Malaysia Airlines spokesman also said flight bookings made by Brits have increased by 25% year-on-year (y-o-y) compared with 23% y-o-y in the corresponding period last year. “We are gaining market share with forward bookings up 31% over the next six months from the corresponding period last year,” she added. The airline‘s Kuala Lumpur-London flights had a load factor of 80% in the first quarter of 2017. “The UK trade is supportive of us as we can fill it against top competition. 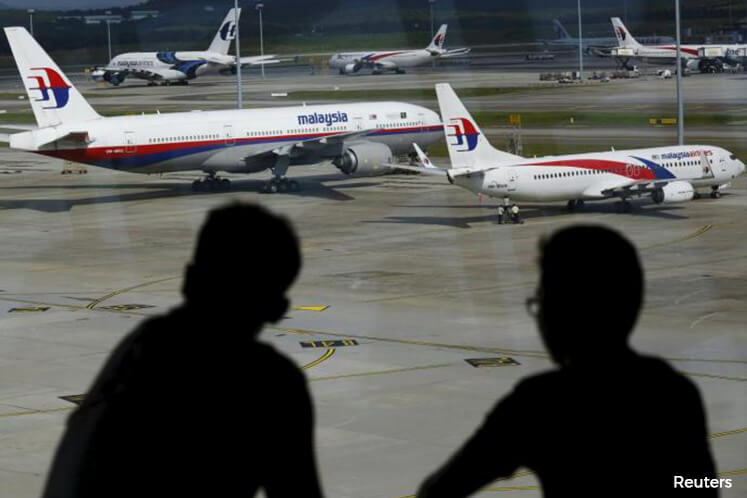 It shows that the negative image of Malaysia Airlines is wearing off,” the spokesman said. On March 2, Malaysia Airlines announced that it recorded a smaller-than-budgeted loss in the financial year ended Dec 31, 2016 (FY16) as its system-wide load factor for the fourth quarter of 2016 (4QFY16) rose 11 percentage points to 81% from 70% a year ago. The airline carried 3.8 million passengers in 4QFY16, bringing total passengers carried for full-year FY16 to 13.9 million. It targets to carry 17 million passengers in FY17. Malaysia Airlines attributed the improved performance to it managing to maintain its fare discipline despite competitors dropping fares. Meanwhile, Malaysia Airlines is leasing the six A350s from Air Lease Corp. The A350s compete with both the Boeing 787s and 777s, and is powered by the new Rolls-Royce Trent XWB engines, with 70% of the airframe made out of advanced materials combining composites (53%), titanium and modern aluminium alloys. Airbus SE UK head of media relations Robert Gage said it takes nearly nine months to make an A350-900 with parts manufactured all over Europe and Asia. “[For example,] the rear fuselage is made in Hamburg, Germany, the vertical tail fin in Stade, Germany, the central fuselage and horizontal plane fuselage (nose) in San Jose, Spain, the engine (Rolls-Royce) in the UK, the interior in Toulouse, France, and the wings in Broughton. The final assembly is done in Toulouse,” he added. The A350 XWBs continue to be a popular aircraft, although the global airline industry is undergoing a slowdown, noted Gage. He expects the industry to pick up in the coming years, adding that China Southern Airlines ordered 20 A350 XWBs in April this year. Airbus delivered 688 planes last year and is looking to increase to above 700 this year. “The A350 XWB has 821 orders [with a total value of US$287.35 billion (RM1.25 trillion)] as of March 31, 2017 from 44 customers. That is a good backlog but it depends on the rate of ramp-up and the customer’s timeline to deliver,” said Gage. The Broughton plant makes wing sets for the A350s, A380s and the market-leading single-aisle planes — A320neos and A330s, which have the highest production rates due to their popularity among airlines. In the past 15 years, Airbus has spent £2 billion on the improvement of the wings and the plant. Gage pointed out that the A350 state-of-the-art aerodynamics include a unique morphing wing feature that continuously optimises the wing loading, reduces drag and lowers fuel burn.